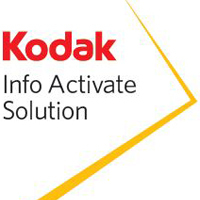 Kodak Info Activate is an easily- deployable application that helps you quickly, consistently and accurately scan documents from client applications into well-organized, centrally-managed Microsoft SharePoint libraries. Deploying Kodak Info Activate inside your current Microsoft SharePoint environment will simplify complex business processes for your users by making capture simpler, workflow more organized, content under control, and integration completely seamless. 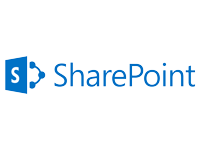 Once documents are scanned and stored in SharePoint libraries, there is also limited capability to govern taxonomy and indexing rules for incoming documents, version control for editing documents and secure access to certain types of documents. For this, you need document management software. To get these enterprise content management (ECM) solutions to work with SharePoint—in one department or throughout the enterprise—they must be integrated properly. Our clients choose us because we understand both worlds. Traditional document imaging resellers have little experience with SharePoint. Microsoft system integrators typically have no experience with document imaging. ProConversions offers the best of both worlds. Get started with our SharePoint ECM needs assessment. We will evaluate your current SharePoint environment, create a problem statement and develop a detailed plan that will serve as the blueprint for integrating ECM and adding other options.